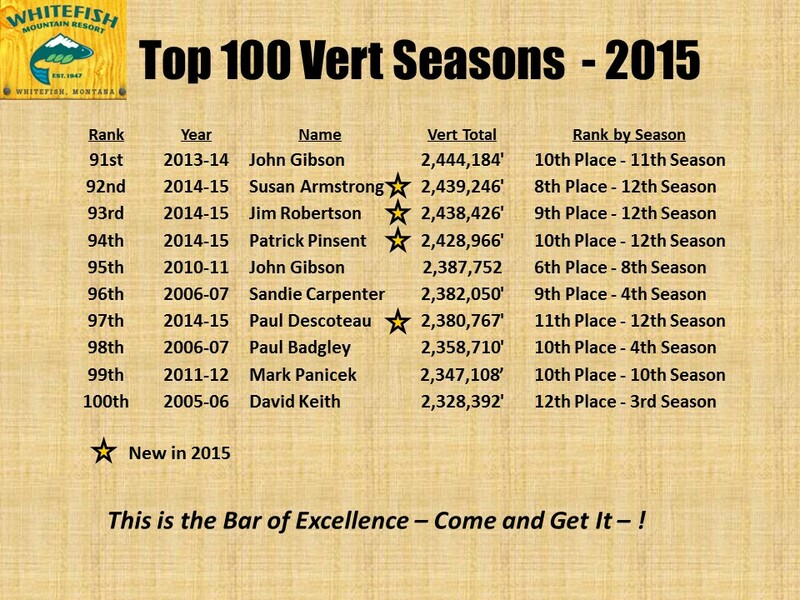 Once again, I present the Top 100 Vert Seasons list. After 13 seasons of the Big Mountain Vert era, we have finally seen just how much can be skied in one season, thanks to Nebraskan Ken Jones. Shattering the ceiling and rewriting the record book at the same time, Ken summited the Vertical Everest this past season. Ken skied an astronomical 8,058,144 vertical feet, plugging himself on to this list right at the top. Ken skied past Tony Cooper’s previous record (5,612,744′), set in 2013, on March 6th. Over the last 34 days of the season, Ken skied an additional, stratospheric 2.4 million vertical feet. His new record will undoubtedly occupy the top spot on this list for a long time to come. At the same time, the minimum ante to get on to this list at the bottom, just went up about 58,000 feet. It’s now approaching 2.5 million to get into this club. After next season, it should be at least that. A year ago, the Top 11 finishers of 2015 all made this list. This season, by contrast, only the Top 7 made the list. The hungry, heavy hitters keep pushing the upper portions of this list. Anyone can do this….given the will, the opportunity, and a little luck. But, now more the ever, if you want to break in here….you will have to set about doing it…and earn it. No one casually skis 2.5 million vertical feet. Are you up for it? If so, pretend we’re Missourians and show us. Before giving you the list to peruse for yourself, again I offer some interesting facts. 33 people now own the Top 100 seasons. Sandie Carpenter and Patrick Pinsent dropped off the list, while Ken Jones took the top spot. 13 dedicated skiers appear 3 or more times. These people authored most of the rich, colorful history that defines the Big Mountain vert program. By name (with number of times accomplished following in parenthesis), they are: Fred Frost (13), Russ Carpenter and yours truly (9 each), John Gibson (8), Rick Sawyer (6), Tony Cooper (5), Chris Chapman, Steve Calger & K Yobst (4 each), Albin Kwolek, Steve Cook, Pat King and Mark (aka John) Sanman (3 each). Welcome Albin and Mark to the 3(+)-timer group. 6 skiers appear twice. They are: R.J. Brewer, Sue Armstrong, Giles Hunt, Jerry Hagen, Steve Sliper and John Wachsmuth. And 14 people own one place in the Top 100. They are: Ken Jones, Travis Gray, David Thiel, Paul Badgley, Jim Bailey, Jeanne Reichstadt, David Keith, Rex Rupp, Mark Panicek, Paul Descoteau, Tom McCrea, Eric Walberg, Roger Elliot and Jim Robertson. Some of these folks (Paul Badgley, Paul Descoteau, Mark Panicek) had previous seasons in the Top 100 that were pushed off the bottom of the list this year. Such is the nature of records. But enough analysis already. See the list for yourself. Once again, I invite you to take your shot at earning a place on this list. Come and get it~!. The mountain regulars can be a welcoming crowd, while also a little bit like a middle school population. They will discuss your ski skills, your ski habits, your ski attire, etc. They will see and notice whether you are pushing or not. And if you are skiing your way onto this list, you will be noticed. For better or for worse. The 2015-16 season will go down in the books as the most amazing ever recorded on our beloved Big Mountain near Whitefish~! So many great stories, personal bests, and historic vert accomplishments occurred. We’ll see if I can do justice to recounting a few of them. CONGRATULATIONS to Ken Jones, the henceforth and forever more, King of Big Mountain Vert~! Nobody could’ve foreseen that a Nebraskan would transplant to Whitefish and show us all how it is done. But, that is exactly what happened. Ken skied an amazing, 8,058,144 vertical feet, crushing Tony Cooper’s record (of 5,612,746′) from the 2013 season by nearly 2.5 million vertical feet. To put that in perspective, the amount Ken beat the old record by, was enough to be better than 8th place on this years Top 10 list. Three Top 10 finishers spent their whole season skiing to a total less than his margin of victory over the previous record. Truly unbelievable~! To set the new record, Ken skied 122 days of the 128 day season. Of those 122 days, he skied bell to bell, including night skiing, every day since New Years, minus one day to watch football and one rainy day, when his gear soaked through early in the day. He used the rest of the rainy day developing a gear strategy that prevented that from ever happening again. Ken’s quest for the Big Mountain record was as impressive for the rest of us to witness as it was for him to do. Ken skied with an effortlessness and grace while making 66,000 feet per day look easy. Vert veterans know that it is anything but easy, especially considering the 70 days with new snow that he powered through. To add even further perspective to Ken’s record season, he skied more this year than Fred Frost and I put together. It wasn’t like Fred and I took the year off. I skied 122 days, averaging over 34,000’/day. Fred skied over 110 days or so, and averaged over 34,000’/day too. It was mindboggling how much Ken got done on a daily basis! I do believe it is safe to say, Ken’s record will never be broken, unless some quantum leap in lift technology allows for us to get up the mountain exponentially quicker. Some day perhaps, but not likely any time soon. Polite and respectful, Ken made fans of the resort’s staff and competitors alike. He was a terrific example for all of us. Not once did I see him call attention to himself with annoying, aggressive skiing. Sure, he was aggressive, but just not while around other skiers. Many obnoxious Big Mountain skiers and snowboarders could learn a valuable lesson in respect for others from Ken’s example. All of us tip our caps to Ken Jones’ ski accomplishments. You aren’t in Nebraska anymore. You’re a Whitefish legend now! Congratulations~! Enjoy it~! Joining Ken in this years Top 10 was a cast of the usual suspects and some surprise newcomers too. Yours truly finished second, with my best year yet, in a year that I didn’t win, skiing 4.1 million vertical feet, collecting my 9th consecutive Top 3 finish. This year’s comeback skier of the year had to be Albin Kwolek~! Al came back from last year’s broken leg to ski over 4 Million vertical feet and finish with his first Top 3/podium result. Nice job Al~! Al’s final week of the season was an impressive display in its own right. He skied around 300,000 vertical feet through the spring slop conditions to get to the 4 million mark. Our hats are off to your accomplishments too~! Coming in 4th, was Sue Armstrong, who crushed K Yobst’s Ladies Vert Record from last year (3.16 million feet). Sue’s 3.9 Million vertical feet skied would have undoubtedly been over 4 million, had she not spent some time skiing down in Utah this season too. Well done Sue~! Perennial powerhouse, Fred Frost skied over 3.75 million feet in his 13th consecutive Top 10 finish, this year placing 5th. Fred remains the standard for durability, commitment and long-term vert accomplishments. He’s skied over 50 million vertical feet over the last 13 years. No one else has even skied 40 million. Earning his first Top 10 and finishing 6th, with over 2.7 million feet skied was former Vermont ski patroller, Paul Descoteau. Welcome to the Top 10 club Paul! In 7th place and repeating in the Top 10 for the third consecutive season was Mark (formerly listed as John) Sanman, skiing a personal best 2,582,693′. Nicely done. Rejoining the Top 10 this season for the second time, David “Curly’ Keith, finished 8th, with 2.37 million feet. Welcome back to the Top 10 Curly. For the first time ever, a sub-adult joined the ranks of the overall Top 10. 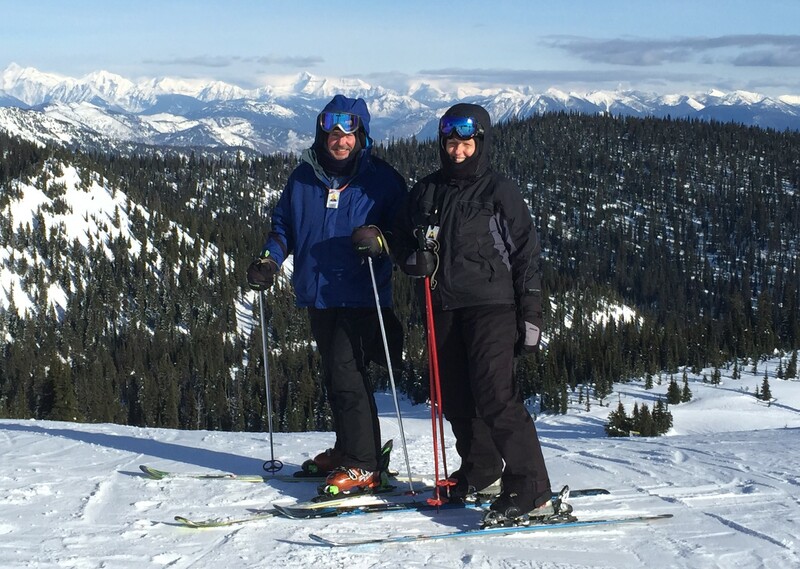 Simon Roston (a Whitefish middle-schooler, in his 2nd year skiing) defied the odds and the demands of going to school full-time and crushed his home-schooled peers, finishing 9th overall. Simon was often seen on weekends and at night, skiing with Ken Jones. Congratulations Simon~! Rounding out the Top 10 was Jeanne Reichstadt, earning her 4th overall Top 10 finish. Welcome back Jeanne! Congratulations to this year’s Top 10~! Who among you will take it upon yourself to join these ranks next season? 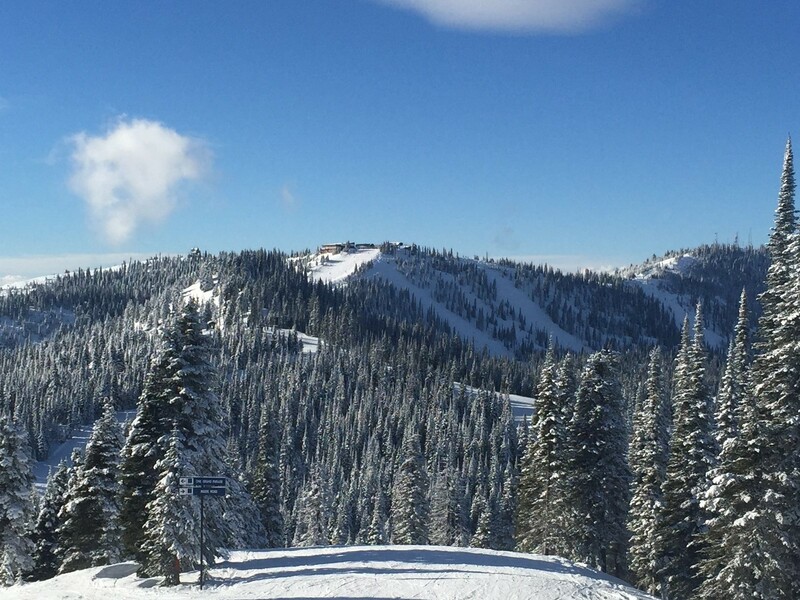 **The Vert Era at Whitefish Mountain (formerly the Big Mountain) Resort just finished it’s 13th season of empirically measured skiing. Each skier’s season pass gets electronically scanned prior to each chairlift ride, thus tallying, in effect, how much we ski. Each lift services a known quantity of vertical feet serviced and skied. Tracking the vert program combines three passions of mine–skiing, niche history, and conventional math. It seems only natural that I archive the records~! ** For whatever that is worth. That is all. Congratulations to the ladies of the Big Mountain~! They crushed it again in 2015-16. At the top of the list and worthy of huge congratulations is Sue Armstrong, for setting the new all-time Ladies record! Sue skied a personal best of over 3.9 million vertical feet, landing her in the overall Top 10 for the second consecutive season. She got all of that done in 115 days of skiing. Exceptionally well done! 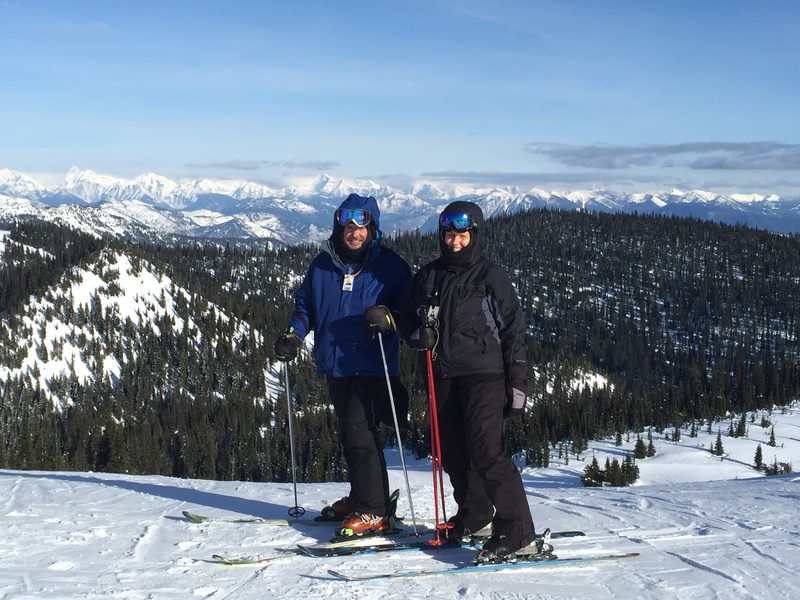 Congratulations also to Jeanne Reichstadt, a virtual lock in the Ladies Top 10 for a decade, who skied a smidge under 2.3 million feet, while returning again to the resort’s overall Top 10 for the 4th time. 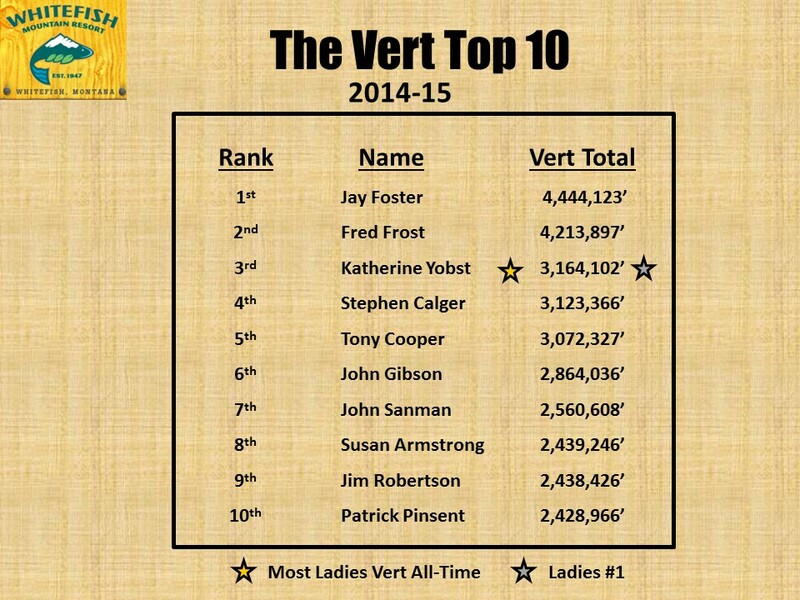 And cheers to K Yobst for claiming her fifth consecutive Ladies Top 10, skiing a respectable 2 Million plus vertical feet. Joanne Gill, Sylvia Spangler, Sherry Foti, and Luanne Metcalf all repeated in the Ladies Top 10 again for the second season in a row. Nice job of getting a streak going. Now a three’peat is in order for 2016-17. And a hearty welcome to Lia Wolfe, Deb Forthofer and Ruthe Heimel, all joining the Ladies Top 10 this season. Give it up for the ladies of the Big Mountain~! As always, I welcome constructive inputs to correct/complete the record. 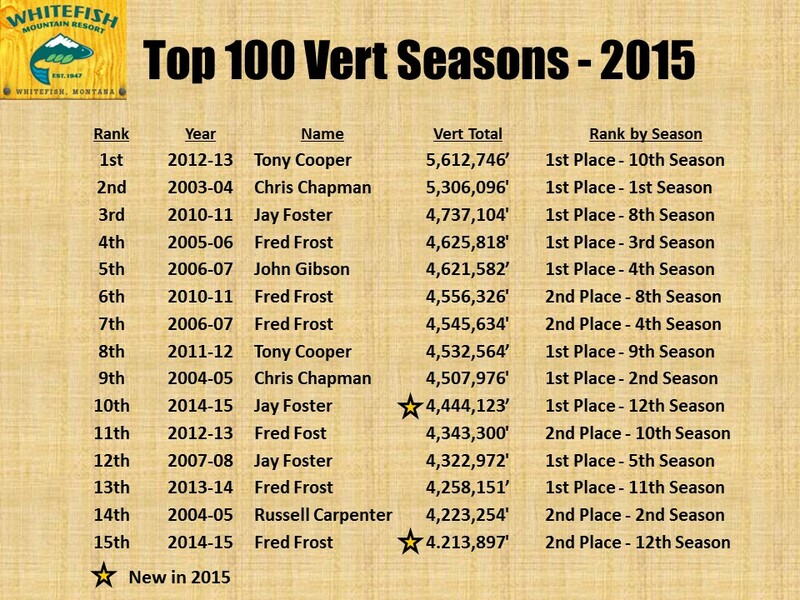 Back by popular demand, here is the newly updated Top 100 Vert Seasons~! 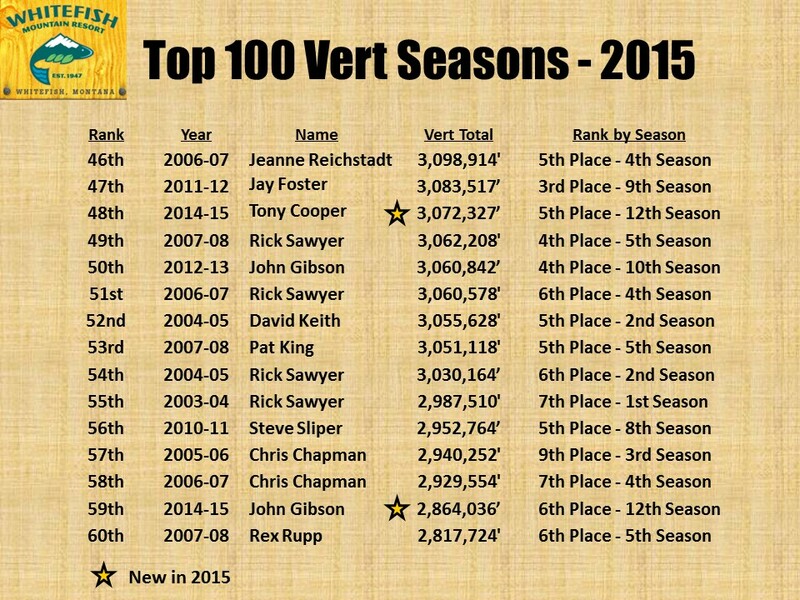 After twelve seasons of the vert era at the Big Mountain/Whitefish Mountain Resort, the list below details the 100 biggest seasons skied, in rank order. With 8,000-10,000 season pass-holders each year, skiing your way onto this list is a significant accomplishment. Every season, like clockwork, someone (or 2, or more) new emerges with a fire in their belly…ready to give it their best shot over a whole season. This year was no different. All of the 2015 Top 10, plus Paul Descoteau in 11th place, with his 2,380,767′ skied, made the overall Top 100 list here. Some years, the Top 10 is tougher to crack than others. This year was one of them. 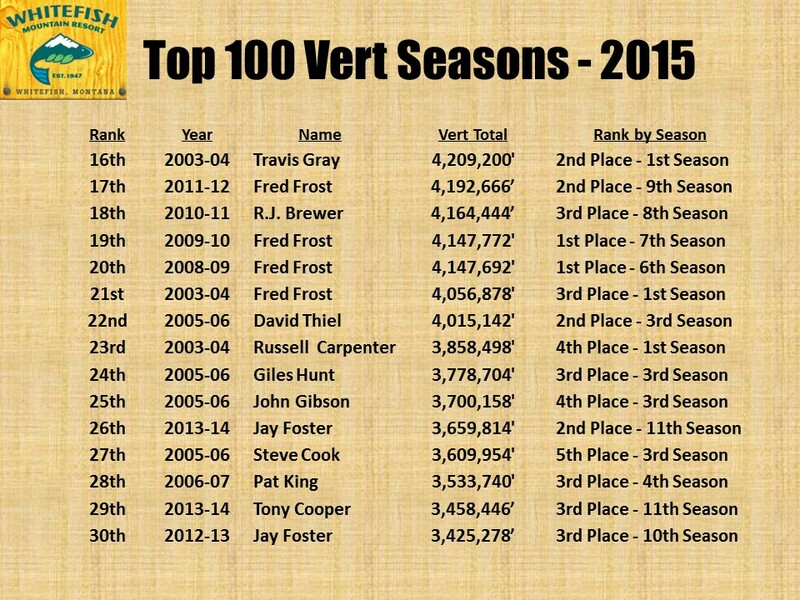 But, finishing in the Top 100 overall, after all the vert seasons, is still huge. Nice job Mr. Descoteau~! Each 2015 entry is signified on the list below by a gold star. A few interesting facts, derived from the list, follow. 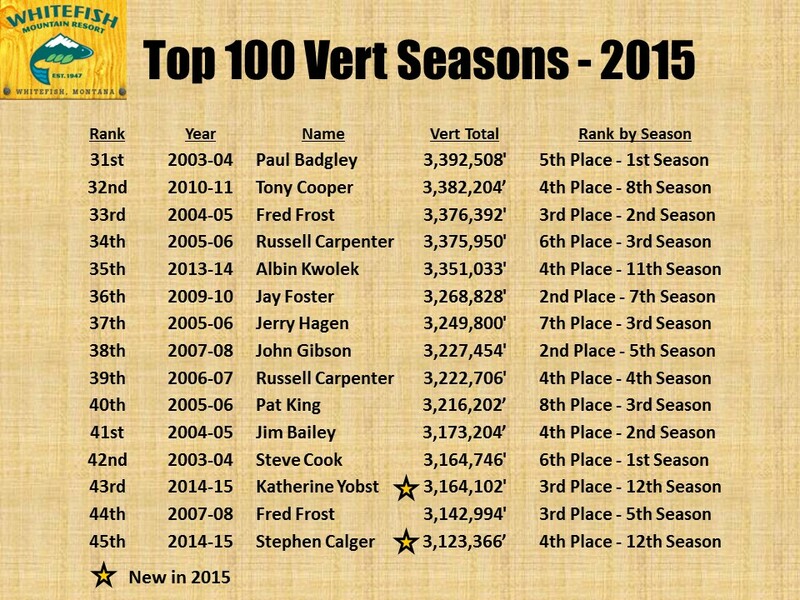 34 names comprise the Top 100 Vert Seasons list. 11 folks appear 3 or more times. They have been nicknamed or called names from the beginning, from “machines” to “hamsters” (running incessantly on the wheel), to, “Johnny Vert,” to the “Beastwoman,” to “Quadzilla.” At a minimum, they (or more accurately we) all, are, or have been for several seasons, compulsive about skiing (or snowboarding) regularly. By name (followed by the number of appearances in the Top 100), they are: Fred Frost 12, John Gibson and Russ Carpenter 9 each, yours truly 8, Rick Sawyer 6, Tony Cooper 5, Chris Chapman, Steve Calger, and Kay Yobst 4 each, Steve Cook and Pat King 3 times each. 10 folks appear twice—thus removing all doubt that it may have been a fluke the first time. They are: R.J. Brewer, Giles Hunt, Paul Badgley, Albin Kwolek, Jerry Hagen, David Keith, Steve Sliper, Mark Panicek, John Wachsmuth, and John Sanman. And 13 folks own one spot in the Top 100. They are: Travis Gray, David Thiel, Jim Bailey, Jeanne Reichstadt, Rex Rupp, Tom McCrea, Eric Walberg, Roger Elliot, Sandie Carpenter, (and the 4 folks new this year) Susan Armstrong, Jim Robertson, Patrick Pinsent, and Paul Descoteau. Congratulations to all 34 people who earned their way onto this list! Twice someone has eclipsed 5 Million feet. Chris Chapman in 2004 and Tony Cooper in 2013. 20 more times someone has skied more than 4 Million feet. This has been done by 9 different people. They are: Tony Cooper, Chris Chapman, Jay Foster, Fred Frost, John Gibson, Russ Carpenter, Travis Gray, R.J. Brewer and David Thiel. 32 more times, someone has skied over 3 Million feet. 12 folks have a personal best over 3 Million feet. They are: Giles Hunt, Steve Cook, Pat King, Paul Badgley, Albin Kwolek, Jerry Hagen, Jim Bailey, Katherine Yobst, Steve Calger, Jeanne Reichstadt, Rick Sawyer, and David Keith. And 32 times more times, someone has skied over 2.5 Million feet. Eight folks have a personal best over 2.5 Million feet. They are: Steve Sliper, Rex Rupp, Mark Panicek, Tom McCrea, John Wachsmuth, Eric Walberg, Jerry Hagen, and John Sanman. 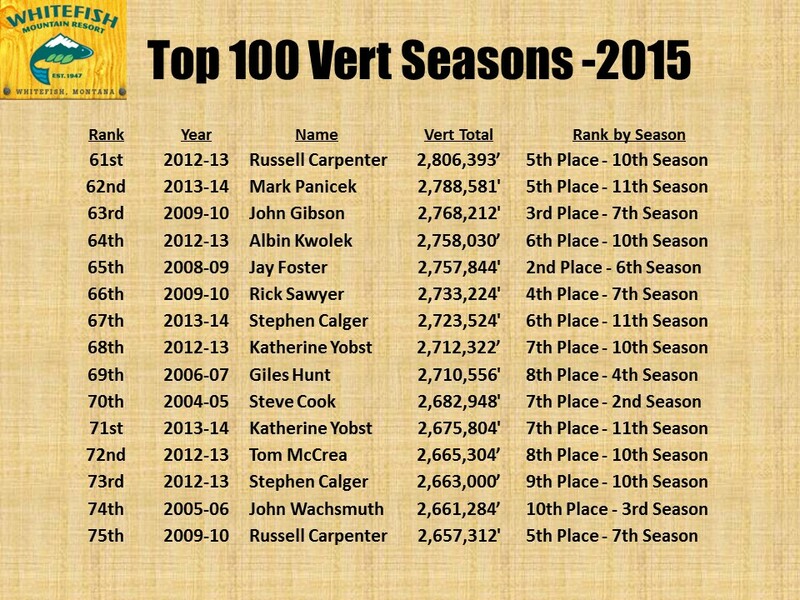 As of 2015, the minimum ante into the Top 100 Vert seasons is now at 2,328,392 vertical feet, currently held by David Keith, with his 12th Place finish in the 2006 season. Each year, the bar gets raised higher and higher. If you want to get in on it, there’s never been a better time than the upcoming season. Get out here. Get busy. And Get’R Done~! 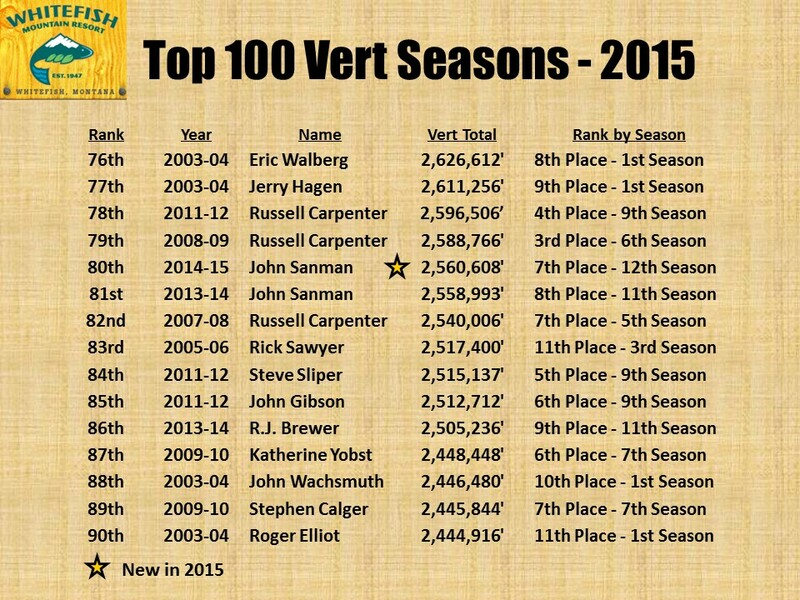 From the slopes of the Big Mountain, Congratulations to the Vert Top 10 of 2015~! The Vert Competition at Whitefish Mountain Resort on the Big Mountain recently finished its 12th season. It wasn’t the epic powder year we’ve become accustomed to enjoying in the Northern Rockies of Montana, but it was a full season of skiing nonetheless. The mantra this season was “at least we are skiing.” So many western resorts were not. Lean snowfall totals meant less available terrain, meant more competition on fewer routes, etc. All that said, those constraints didn’t slow down many of the Top 10 competitors. This season’s Vert race started quickly, with two-time Top 10 finisher, Albin Kwolek, pushing out to an early lead. Unfortunately, he tragically broke his leg a few days before the end of December. To Albin, I’d like to say, I was pulling for you during your early season run, and I am certainly pulling for you now as you recover and rehabilitate yourself. Heal well and we hope to see you back in strong form next season. 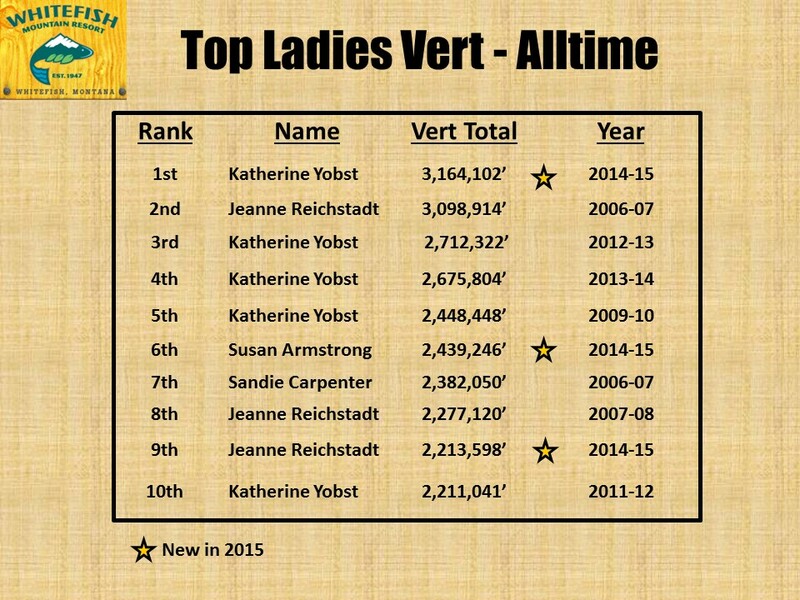 This season’s single biggest highlight had to be Kay Yobst breaking the Ladies All-Time Vert Record for a season. Additionally, she skied her way onto the proverbial “podium”, with a 3rd Place finish. This is the first time a lady has finished in the overall Top 3. I offer a hearty congratulations for both accomplishments~! Exceptionally well done~! And congratulations to the new blood in the Top 10 club! Welcome to Susan Armstrong, Jim Robertson and Patrick Pinsent….with their first Top 10 finish each. They jockeyed for a few weeks at the end before Susan pulled out the 8th Place finish. 128 days of ski season and 8th and 9th place were separated by less than a thousand feet of vert. A few interesting tidbits about some of our Top 10 finishers follow. Fred Frost finished with his 12th consecutive Top 3 finish and his 10th season over 4 million feet. After 12 years of skiing, his cumulative vert total is remarkably: 49,607,520′. Tony Cooper skied to his 5th consecutive Top 10 finish. John Gibson (aka “Johnny Vert”–the Top 10’s only snowboarder) finished in the Top 10 for his 10th consecutive time. John’s got a board for every condition and he rides them all strong. Steve Calger and Kay Yobst finished in the Top 10 for the 6th time, while skiing personal bests and with Kay setting the Ladies record. I had fun skiing with you once again~! Hopefully we’ll get back into the pow next year. And I had my 3rd win and 8th consecutive Top 3 finish. Undoubtedly, I worked harder this year than in any previous season. 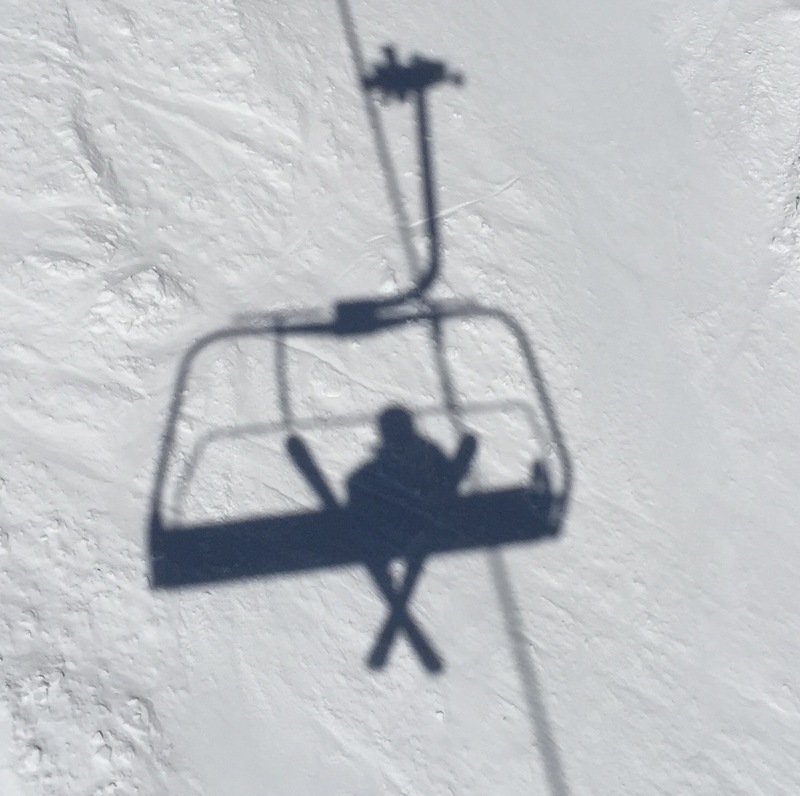 Due to a death in the family, I missed more ski days this season (15) than the previous 4 years combined. While I didn’t ski to a personal best total, I did ski a personal best (in terms of) daily average and made it back into 10th Place on the Top 100 Vert seasons list. I remain unaffiliated with Whitefish Mountain Resort, though I am arguably their most enthusiastic patron. And as the unofficial Vert Historian, I appreciate constructive inputs to correct the record. Just holler. 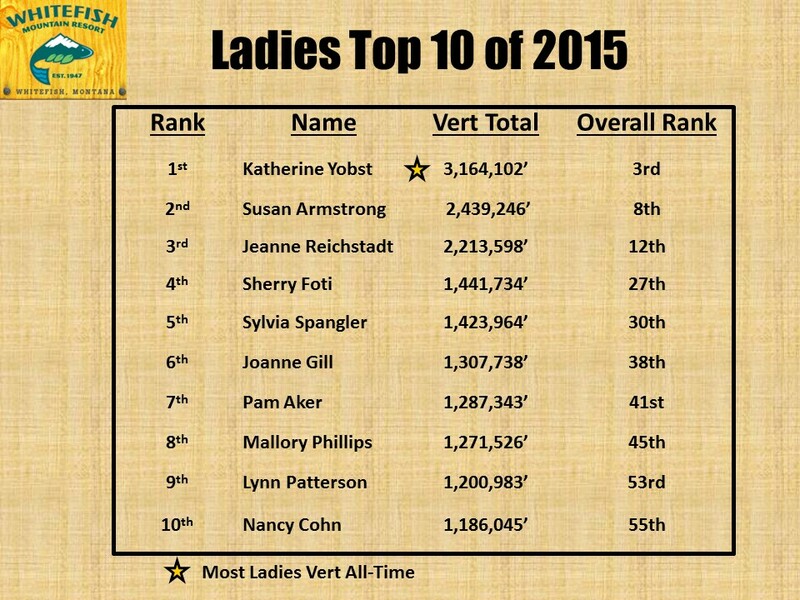 A resounding Congratulations to Kay (Katherine) Yobst for breaking the Ladies All-Time record in 2015~! Kay broke Jeanne Reichstadt’s previous record of 3,098,914′ set back in 2006. Congratulations to the Ladies Top 10 for getting it done in 2015~! 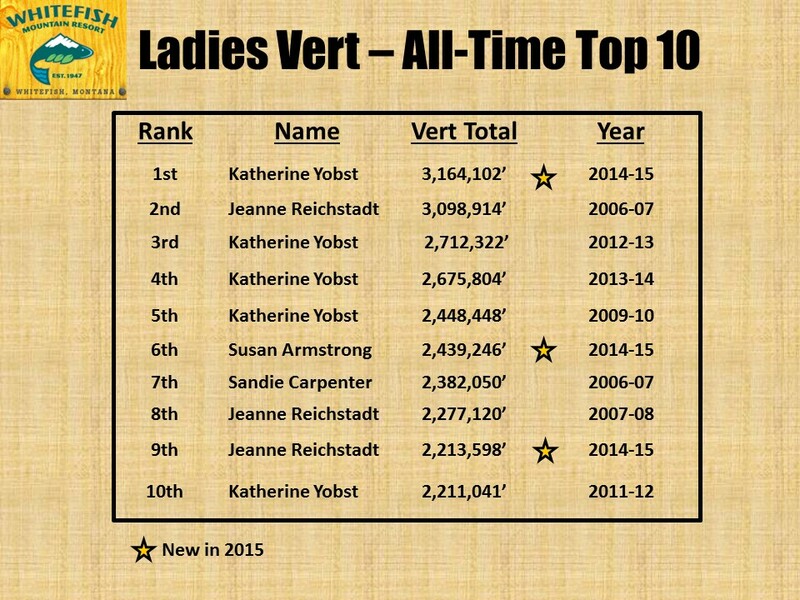 Including Kay, two more of the ladies skied their way onto the Ladies Vert All-Time Top 10 list this season. Susan Armstrong skied to a 6th place total of 2,439,246′. 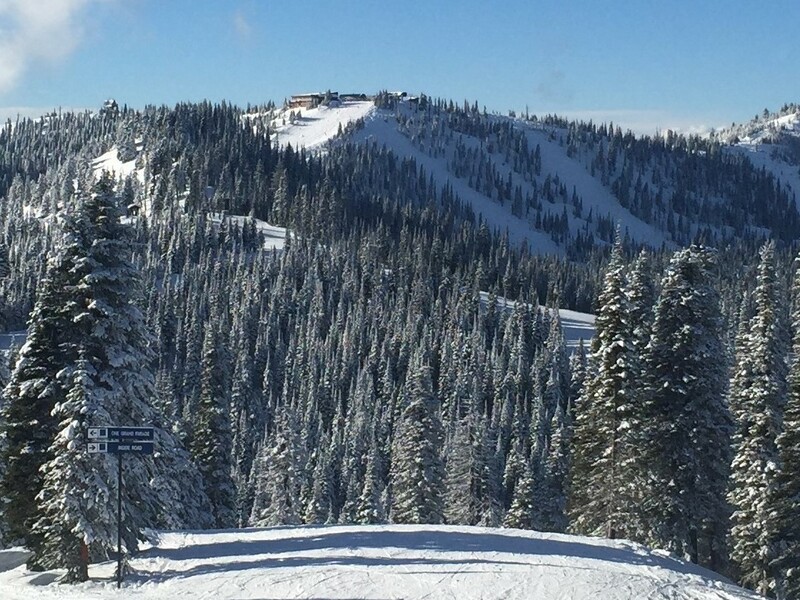 That was good for 8th on the Whitefish Mountain Resort’s overall Top 10 list. And Jeanne Reichstadt’s’s overall 12th place finish this season was strong enough for 9th on the Ladies All-Time Top 10 Seasons list. It was a great job all around this season for the ladies. When you can’t ski powder, do some groomer laps. There it is ladies, the new benchmark for most vert ever skied by a lady is now at 3,164,102′. Jeanne’s record stood for 9 years. How long will Kay’s record stand for? Do you have it in you to be the next record-holder? 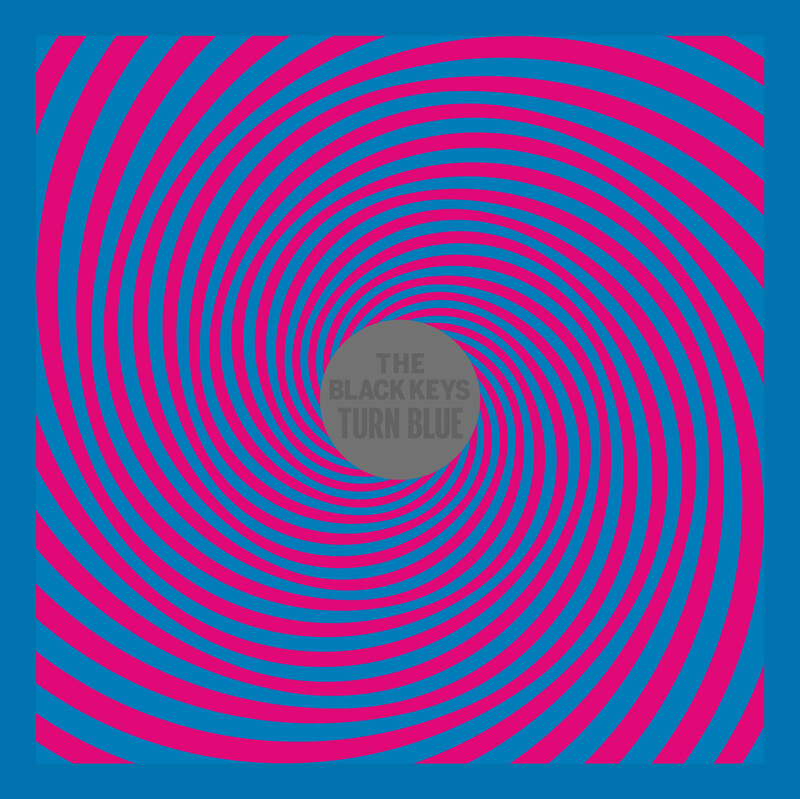 Nashville’s own, The Black Keys, featuring guitarist Dan Auerbach and drummer Patrick Carney, have just released their 8th studio album, entitled Turn Blue. The Keys once again teamed up with Brian J. Burton, aka “Danger Mouse,” who produced their last three albums (2008’s Attack and Release, 2010’s Brothers and 2011’s El Camino). All three of which were critically acclaimed and commercially successful–perhaps most aptly affirmed by the multiple Grammy’s awarded to the two most recent albums. To my ears, each of the last three records was among the best albums from their respective years. Predictably, Turn Blue is also a tremendous record~! It has that rare quality of being both brand new and sounding like it would have fit in on rock radio 40-50 years ago. Nobody does that these days. Yet, the Keys are making a cottage industry of that psychedelic-tinged, spacey-sounding, neo-retro vibe. From start to finish on Turn Blue, there isn’t a dud song in the bunch. Several songs are reminiscent of a bygone, better music era. Fever features a Ray Manzarek-like keyboard lick. I could easily hear Fever sandwiched between The Strawberry Alarm Clock and The Doors, circa 1967. And the title track, Turn Blue has the same, slow-motion, churning bass-lick that the Alan Parsons Project used in I Wouldn’t Want to Be Like You, from 1977’s I Robot. It worked well then…and it works even better now. My personal favorite song, hands down, is In Our Prime. It is written and sung in the past tense….oft repeating the refrain “We had it all when we were in our prime.” At my age, it is becoming an increasingly more familiar sentiment. But the last 90 seconds of the song, with its fuzzy, primal, lead guitar and accompanying bass drum thump, are manifest evidence that the Black Keys remain very much on top of their game~!